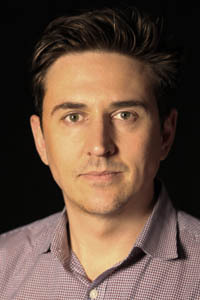 Danny Keens didn’t ever picture himself living in Wagga Wagga, but CSU’s Bachelor of Arts (Television Production) drew him there, albeit “kicking and screaming”. A former 60 Minutes producer and now Global Chair of Television at Twitter, Danny’s career has taken him all around the world. Here he explains what keeps him motivated and why Wagga Wagga and CSU will always hold a special place in his heart. I joined Twitter in 2013 and currently serve as the Global Chair of Television. In this role I lead the company’s strategy for TV and content partnership with broadcasters and production houses around the world. I am also the Director of Media Partnerships in Australia where my focus is forging relationships in TV, music, sports, government and journalism organisations. Before joining Twitter I was a producer at the TV show 60 Minutes and prior to this I produced 'Sportscenter', the flagship sports news program of leading American cable network ESPN. At school I... was too worried about whether I would get a job once I finished. I’ve since discovered that great, capable employees are really hard to find. If you’re passionate, reliable and understand you need to start at the bottom and work your way up you’ll be just fine. Having a knack for understanding the fine line between enthusiasm and annoyance also helps. My childhood was... filled with amazing friendships, which I still find hard to comprehend. As you get older you realise that the friends you have in school were unique. Eventually life begins to get in the way of these friendships and they are hard to maintain. It’s important to remember to expect less from friends over time because as you grow older everyone begins to be laden with more responsibility. It’s also harder to bridge the gaps in geography and lifestyle for some people, so lower your expectations. Give more, but expect less and you’ll be happier about how your longest friendships play out over time. As a child I was most curious about... the future. I still am but just not in the same way as I was when I was 10. I chose CSU... because of the course. If I’m honest about it I never wanted to move to Wagga Wagga. I kind of went kicking and screaming. I certainly didn’t want to live there for three years. I was so young and in a huge rush to get to the big smoke. Over the last 15 years I’ve lived in Sydney, Melbourne, London and Connecticut. Wagga Wagga still holds a very special place in my heart. My best experience at CSU... was living in a run-down house on Fitzmaurice Street with five great mates, all of whom I’m still in touch with. I paid $35 a week in rent! Madness. It feels like that period of university passed before it even began (because we had so much fun). It was the kind of group house you visited and never wanted to leave. The game of backgammon will forever mark that year in my memory. My worst experience at CSU was... leaving after three years. I can genuinely say I went to Wagga Wagga kicking and screaming… and I left kicking and screaming. Good times. At university I was inspired by... the possibilities that lay before me. I recall there were so many choices that actually making one was rather daunting. Things seemed possible. Everything. Today I’m motivated by... people’s stories. As I’ve grown older, I’ve come to understand that everyone is where he or she is in life for a reason. This fascinates me. The choices we’ve all made, and the opportunities we all passed on. In my profession it is important to... simply listen. Understand the challenges people face and the blockers. No one comes to work to do a bad job so it’s important to equip staff with the tools and resources to succeed. It’s also important to understand people have a personal life outside of work that carries pressure and burden at times. Ensuring people have the time and space to succeed outside of work directly impacts their ability to succeed at work. I never dreamed I would... be writing a CSU Alumni profile or standing in the Giant Crystal Cave. The biggest influence in my life... has been my mum, dad, brother and sister. Like everyone, I’ve had my fair share of battles and they’ve always been there to guide me through with unconditional love even if they didn’t know it directly at the time. I’m most proud of... my work with Boys Town. My greatest achievement... is that I’m still employed! In the future I’d like to... take a few years off and just be still. The best piece of advice I ever received... was don’t be afraid to work with the best. Oh, and the first thing to decide before you walk into a negotiation is what to do if the other fellow says no. The single-most important issue in the world is... freedom of expression. Every person has the right to be heard. The thing I wish I had done but never got around to... is baking a Pavlova. Maybe tomorrow? If I could do it all again... I’d play it the same way I did first time round and hope like hell lightning strikes twice. One last thing... You can make your own luck but you can also create your own misfortune. Just remember don’t be too harsh on yourself (but don’t be too lenient either). It’s only with the passage of time you can really wrestle into comprehension the choices you’ve made and the opportunities you passed on.